November is one of my favourite months. Not only does it mean Autumn is well and truly here, it's also my birthday at the end of the month. However, this month has been so busy that I haven't had much time to try out many new bits, so apologies, but this is a very random favourites! I mention this in most of my beauty posts and I featured it in last months favourites, but it's been such a life saver this month that I couldn't not include it. As the weather's getting colder, my lips tend to suffer the most so I've been reaching for this loads to keep them hydrated. I've been recommending it to everyone at work, I just can't get enough of it! 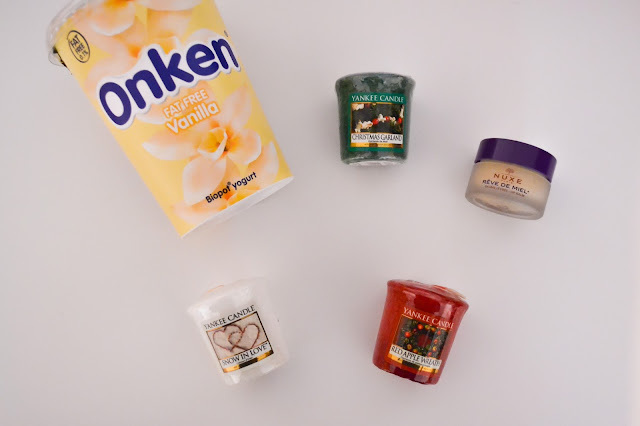 Now that I've got my own flat, I've been burning candles most evenings and I'm absolutely loving the Christmas collection from Yankee candle at the moment, they're perfect for the upcoming festive period, they make the flat so cute as well as smelling divine. I did say this was a random favourites! I've been loving Onken yogurt this month. I first discovered it at uni, but haven't had it for a while until this month. Throughout the last few weeks, I've been getting through all the flavours and they're all incredible. Also, they're fat free, what's not to love! I have been absolutely loving this programme this month. Everyone was talking about it at work, so I had to see what all the fuss about and I'm so glad I did. It's incredible, some may think as it's a nature programme it's a bit boring, but it really isn't. The story lines are great and I actually find myself laughing out loud at it. It's on Sunday evenings at 8pm pn BBC1 - I can't recommend it enough! 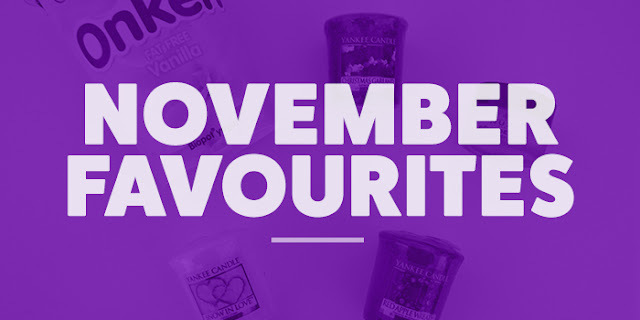 So that's this months favourites, what have you been loving this November?